Madeira Road Trip offers you the opportunity to discover the island of Madeira at your own pace, onboard a Campervan fully equipped for adventure! Sleep where you want! In a few seconds, transform the Campervan into a 5 stars hotel ! These 2 large beds can accommodate 4 adults. What’s more enjoyable than having breakfast by the sea? The table and camping chairs can be installed outdoors and stored carefully to save space when not in use. Our Campervan are equipped with a very functional kitchenette including a sink, a fridge, a gas hob and many cupboards. You will find all the necessary to concoct good dishes! Climb the mountains easily with our range of 2.0 liter TDI diesel engine 150 PS. 6-speed manual gearbox and optimized chassis. You can add many options such as BBQ, Hammock, Stand Up Paddle, WIFI, WC Chemical… and insurance to travel in peace. Mountain or sea? And why not both ? Go from the beach to the highest peak in Madeira in just a few minutes. Travel freely to the rhythm of the sun. 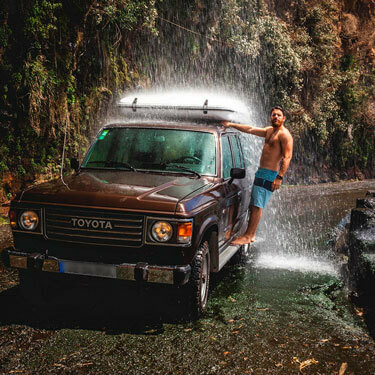 On board your Campervan, choose the trails you want to explore and where you want to fall asleep and wake up. From the mountains to the sea, the choices are immense and the landscapes breathtaking. 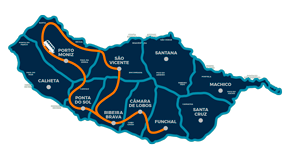 Madeira Road Trip has designed an application, which will guide you throughout your stay and will show you the best spots to spend the night, shower, eat, hike and many other tips… Follow the guide! Drive along the roads of São Vicente, Ponta Delgada, Boaventura, Arco de São Jorge, São Jorge, Porto da Cruz, Pico do Facho e Santa Cruz. Drive along the roads of Ribeira Brava, Ponta do Sol, Madalena do Mar, Calheta, Jardim do Mar, Paul do Mar, e Ponta do Pargo. 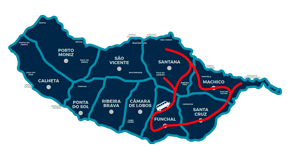 Drive along the roads of Camacha, Pico do Arieiro, Ribeiro Frio, Santana, Portela, Ponta de São Lourenço e Machico. 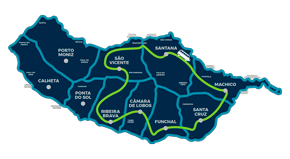 Visit Câmara de Lobos, Cabo Girão, Ponta do Sol, Canhas, Paul da Serra, Santa, Porto Moniz, Seixal, São Vicente e Encumeada. Feel free to contact us or make your reservation today! 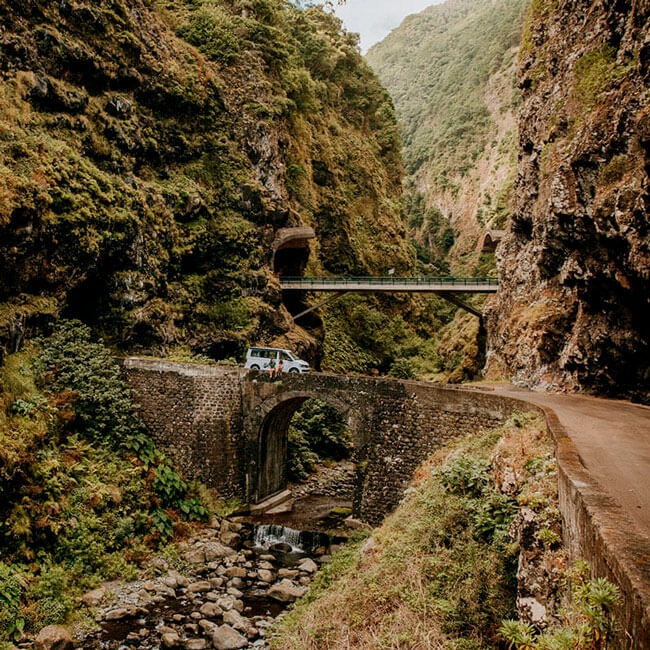 Madeira Road Trip offers you the possibility to experience Madeira Island at your own pace, aboard a luxurious and last generation Campervan.